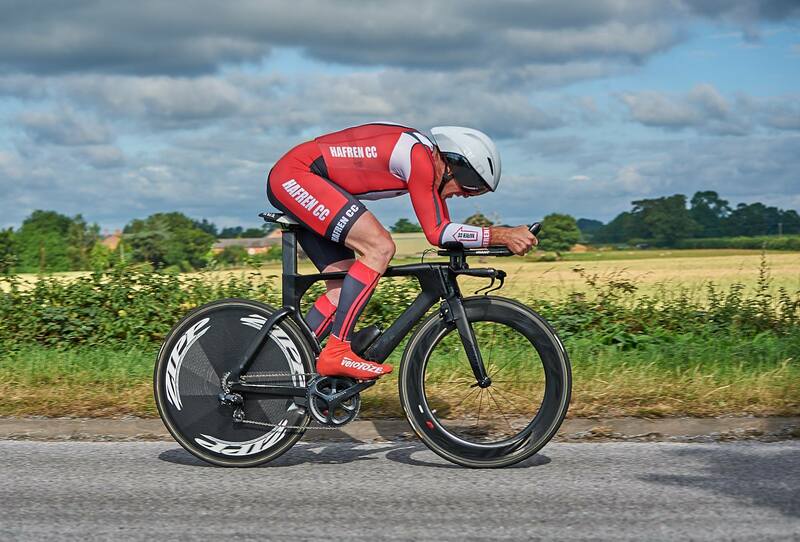 The course and event record were smashed by 47 seconds in Round 2 of The Friction Hydraulics Series as Kirk Vickers charged around the Hodnet bypass/Tiddly triangle course in a blistering 31 minutes 45 seconds. 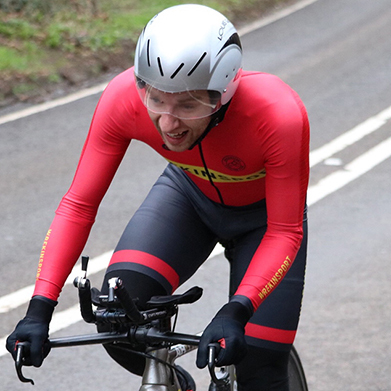 Vickers took the win by 1:17 from Mid Shropshire Wheelers’ Victor Chetta and enjoyed both the unusual distance and the course despite having to battle a rare, roaring easterly wind that hampered progress on the normally fast Tiddly and finishing straights. 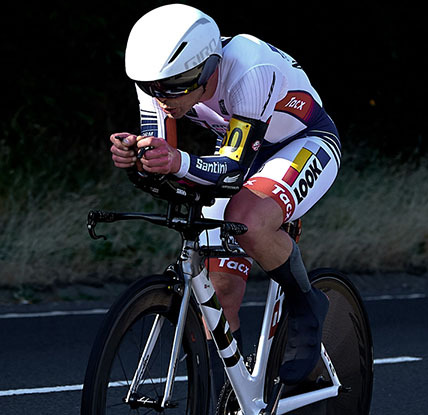 He stated: “It was nice to get back on the time trial bike. I paced it spot on, though the wind was brutal at times. A great course once Peplow is redone! Well done to all riders and thanks to organiser and marshals“. Chetta had his own reasons to celebrate as he moved into the lead of both the Friction Series overall and the Friction Veteran’s Series, with his 33:02 effort outpacing 2018 Bronze medallist by 59 seconds whilst his Veteran’s +6:20 saw off the same rider by 22 seconds. Chetta is more known for being a long-distance specialist so he was more than pleased with his performance at a distance outside his usual comfort zone: “I was very pleased to come second overall against quality opposition in a short distance race, which isn’t really my forte. 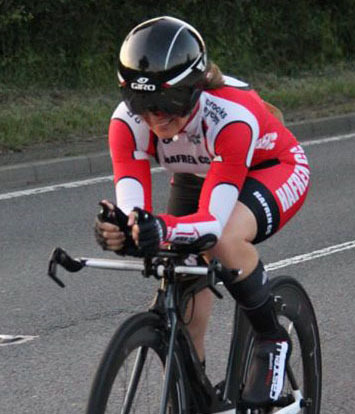 I enjoyed the course, especially the Tiddly stretch, I felt it was a good introduction to the 15 mile time trial distance“. Nisbett was making his debut in the 2019 Series and like his first experience of the course after recording a fine 34:01, ominously pushing out 2018 Friction Champion and Hafren CC team mate Bryn Davies by 41 seconds, showing he is in good early season form. He commented: “First time on that course for me and it seemed to suit my riding style quite well. The wind was a challenge on the Tiddly section and the pavé was, as usual – ‘pleasant’! I’m sure we’ll all miss it when the road gets re-surfaced”! If none of the Top 3 Overall had experience of the course, first introduced in 2018 the Women’s winner certainly did as Charlotte Chapman set a huge personal best of 38:10 to just push out Nova Raiders team mate Deb Hutson-Lumb by a tight nine seconds. This was a huge improvement of 2:26 on her 2018 effort and makes it two wins in two Friction Series rounds for Chapman as she stretched her lead at the top of the Women’s standings. A delighted Chapman commented: “A big improvement for me on last year’s time on this course so I’m happy with that. Don’t think my legs were expecting more than 10 miles though, they were screaming at me three miles from the end! Thanks to all involved in running the event and to those out on the course shouting support. Fab event“! Hutson-Lumb put up a strong challenge with her 38:19 pushing out Hafren CC’s Emma Serjeant by 21 seconds for Women’s runner-up whilst just missing out on taking Veteran’s runner-up by two seconds with an excellent +5:56. She stated: “An interesting course with a tough section into the headwind. I lost my focus on the pavé but I was pleased with my time. A great event, and I’ll certainly be back for another go“. 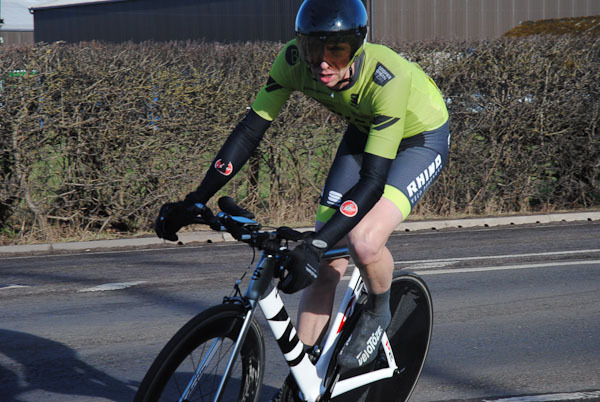 Round 3 of the Friction Hydraulics Series takes place on 21st April when Mid Shropshire Wheelers run their 25 mile event on the Prees – Hodnet course.